Test this email by sending yourself an email to make sure you can receive email. If you are using an email outside your domain, make sure you whitelist your domain. ISPs will block email originating from another domain but with headers showing a different email address. In order for your website to be successfully installed, your domain name must be pointed to your hosting account. This is done by updating the name servers on your domain. Instructions to update name servers are given here. Once you change name servers, your email stops working right away – do not panic, there is a simple solution. It takes about one hour for your website to be installed on your hosting account. Once your website is up and running, there is a default “catch-all” mailbox configured by default on cpanel that catches all emails to your account. This means your email is not lost. At the bottom of the screen you will see the default email account. You can open it directly via webmail from that screen. 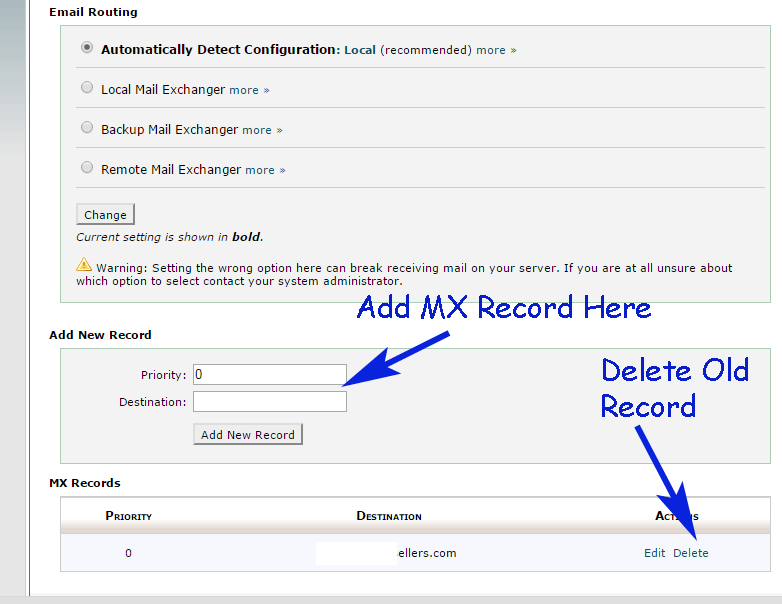 If you had an email account that you would like to continue to use, you just need to update “MX Records“. 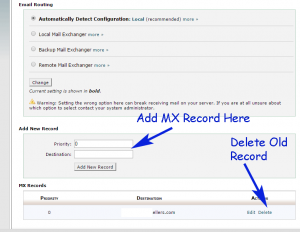 MX records route your email with the instructions provided by those records. Your domain registrar or email service provider will need to provide these MX records. Your email will now be routed through your email service provider. Your hosting account with us will no longer handle any email on your domain from this point on. If you have a hosting account somewhere else, but your domain is registered us, your email should be routed through your current host or email provider. When you register your domain through us, we provide you with a login account to the domain registrar (enom). This gives you complete control of your domain. We do not offer any email services outside of our hosting services. As such unless you have a hosting account with us, you do not have an email account with us. Similarly, MX records do not exist on your domain, they exist on your hosting account under your cpanel account. When sending email such as when using outlook, you must send email through your ISP (not your domain name). For this, outgoing mail server needs to be set to the settings you receive from your ISP. When you are sending email, almost all ISPs have now blocked port 25 and 27 – which means you cannot send email using a 3rd party server (such as your website) when you are using their internet connection. In other words you can receive email from your server, but you must use your ISP’s servers to send email. For this they need to give you the outgoing SMTP server, username and password. 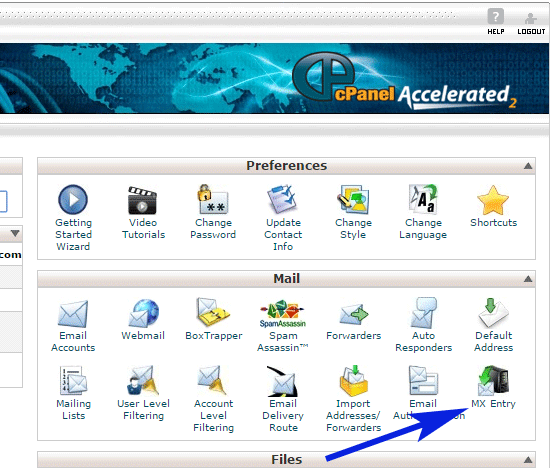 Alternatively, you can use “Forwarders” under “Mail” in cpanel to forward email@[yourdomain.com] to an email address you already use. This is an easier option. Please call your ISP and request them to walk you through how to send out email. This article will help you configure outlook. How do I configure email to work on my website? Instructions for this are given in this article. Subscribers in my buyers list are unsubscribed How can I insert a slide show of my properties to any page?